If the smell of bug spray has you repulsed and running for the comfort of your home with window screens to keep the bugs out, there is a new product on the market that helps keep the bugs away without exposing you and your loved ones to chemicals such as deet. 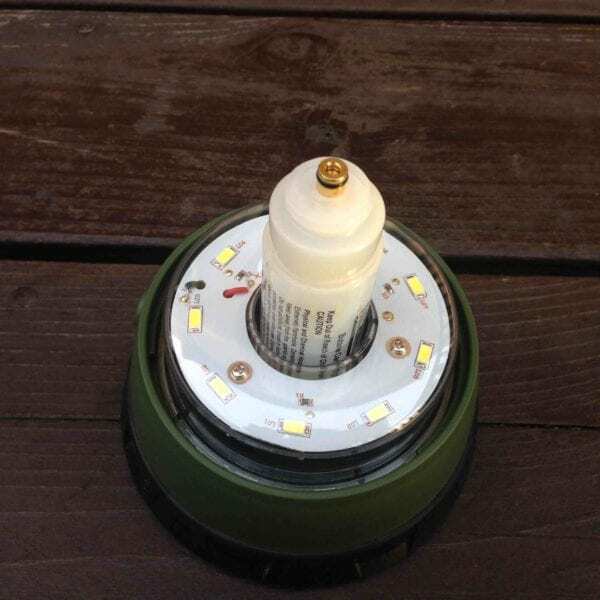 The Thermacell Scout Mosquito Repellent Camp Lantern is an LED lantern that is the perfect trick for keeping away those pesky mosquitos when you want to sit outside. 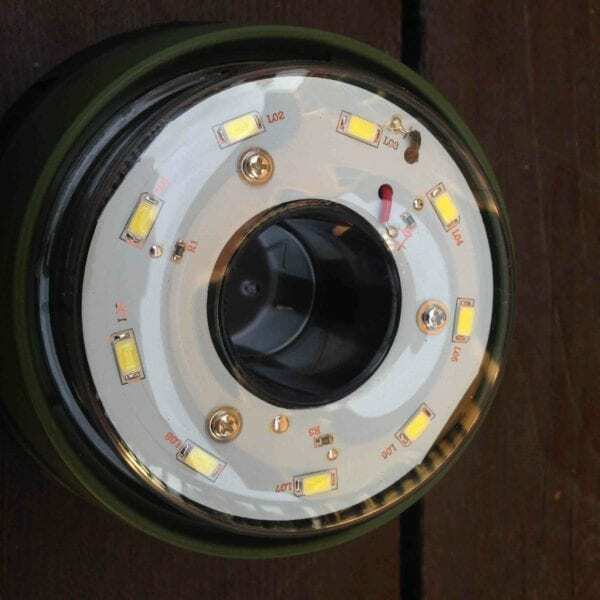 The Scout as a lantern provides plenty of light at up to 220 lumens with 4 different light settings. 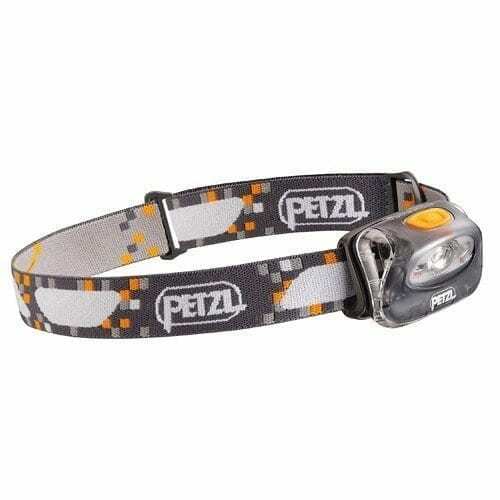 Whether you’re looking to keep a mellow setting around the campfire or looking to provide plenty of light for an outdoor party, there is a setting for every type of situation. 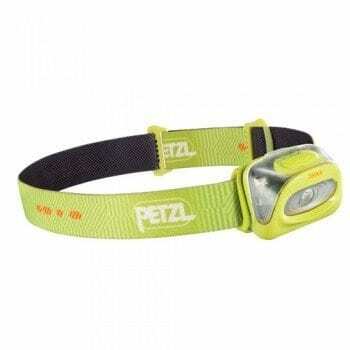 For someone in distress, there is also a strobe light feature, although I haven’t had to use this feature in my testing with the exception to turning it on. While some people think wearing the smell of bug spray is a right of passage into the great outdoors, not everyone shares that same view. Not to mention, most bug sprays have plenty of chemicals in them that can give Anthrax a run for it’s money. When applied on your skin, it can be a recipe for disaster in the long run. 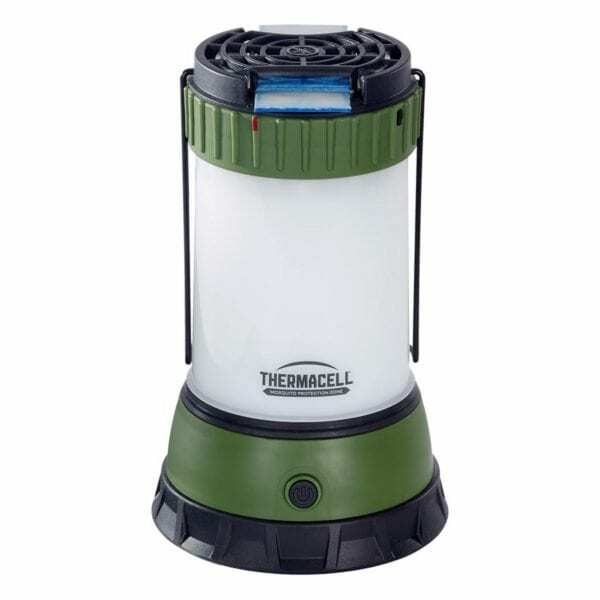 The Thermacell Scout Mosquito Repellent Camp Lantern has a range of 15 feet from the center, so end to end that’s a total of 30 feet. This means you can have a small party and instead of a dozen or so people lathering up with bug spray, you’re all covered. I’ve found the effectiveness works 95% of the time, as you sometimes get a stray nat within your protective zone. If it’s windy out, the lantern loses its effectiveness, but if it’s also likely to blow away the mosquitoes when the wind blows. In total, you get 10 hours of running the lantern on high for the butane canister, but the pads that sit on the top only get 4-5 hours. 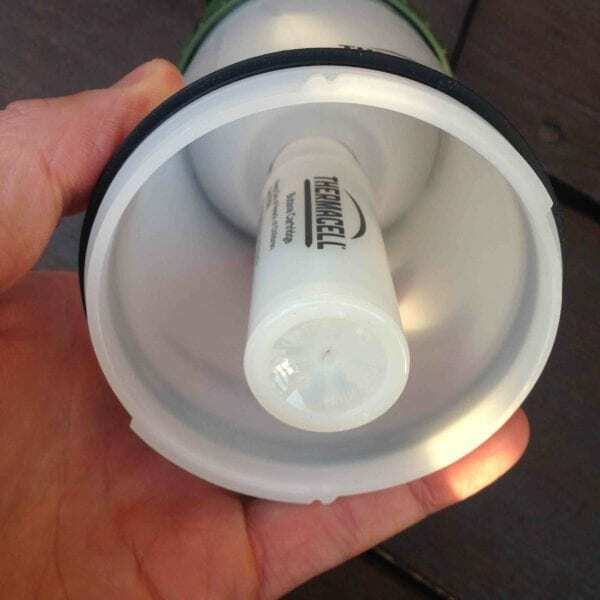 The Thermacell Scout has a handy little hanging feature that is great for overhead lighting to give you elevated light. 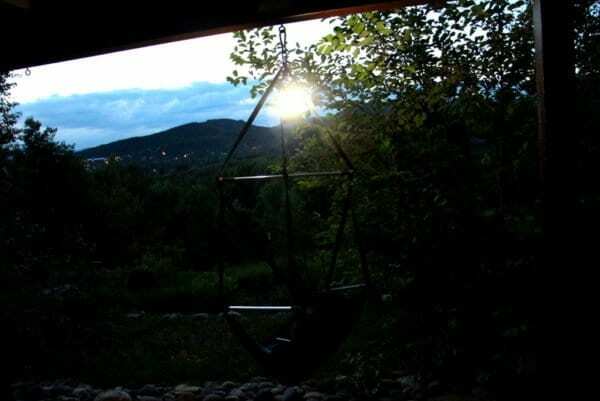 My favorite spot to hang it so far as been above my hanging ENO chair. This is one of my favorite chairs to sit in, but when the skeeters are out, I don’t spend as much time in it as I want to. 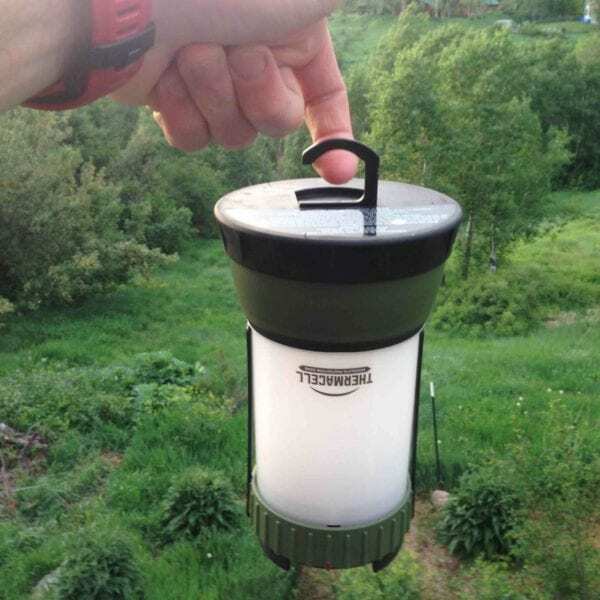 With the Thermacell Scout, I don’t have to worry about mosquitos. One downside to the the Scout is that it takes 4 AA batteries. In the day and age where everything is rechargable, I was a little surprised to see the Scout needing 4 AA Batteries. Lucky for me, I have lots of rechargable batteries so it’s not a complete deal breaker, but it’s something that I would like to see if they make future changes. There is one other potential downfall, which has a very weak argument. 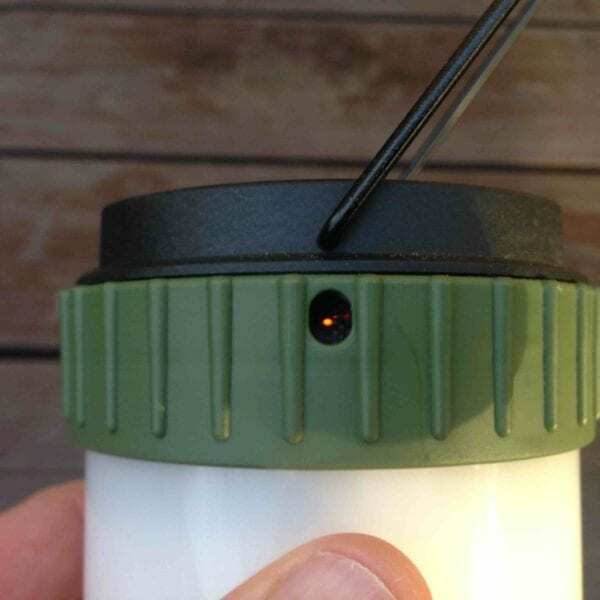 The top of the Thermacell Scout Lantern can get hot and if you have little kids and you don’t keep an eye on them, they may touch this and burn their fingers. This is very unlikely as there is a guard to protect fingers from touching the heating element, but it can happen as I felt the heat as I was trying to move the blue pad on the top of the scout. Reminder, this is an extremely small downfall if any, but something to keep an eye on. 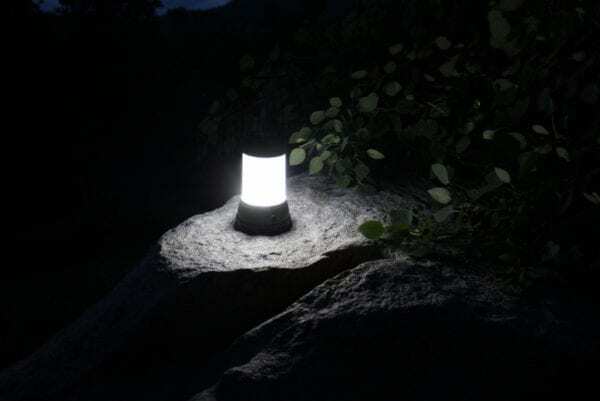 All in all, the Thermacell Scout Mosquito Repellent Camp Lantern is a great that allows you to stay outside a little longer without the worry of pesky mosquitoes. 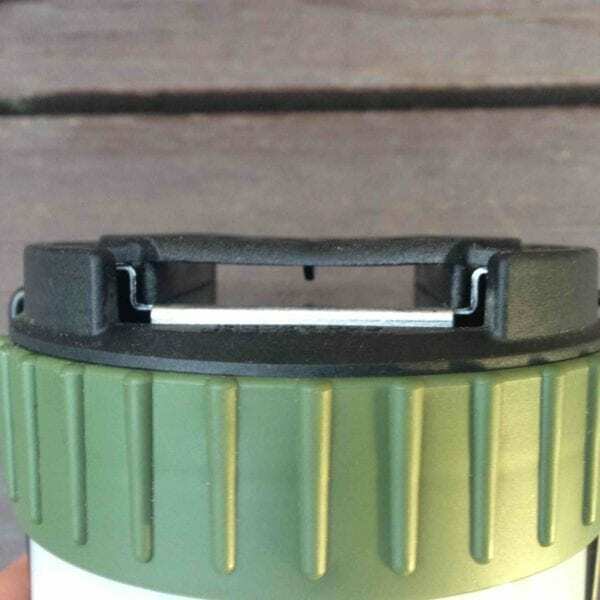 Head on over to Thermacell.com for more information.